Do you have a Sewer emergency in Edmonton? Call us right away! We have expert plumbers available 24 hours a day, 7 days a week. Our plumbers are licenced, insured and drug tested. very homeowner in the Capital City dreads Edmonton sewer problems. You’ve probably heard stories from your neighbours of sewer problems where time and costs seemed to multiply as the technicians dug deeper into the problem. This is NOT the experience you will have with The Gentlemen Plumbers Edmonton. 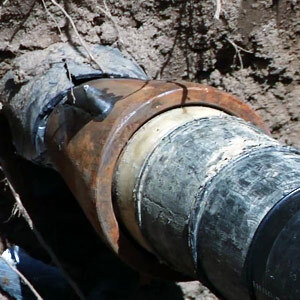 Using new technologies such as camera line inspection, trenchless pipe replacement and pipe relines, The Gentlemen Plumbers are able to give you sewer service that is affordable and that preserves your property’s existing structures and landscaping. While we’re out repairing your sewer, ask us for a FREE inspection and our preventative maintenance programs – both will save you money in the long run!